Chest drains mainly used in the cardiac and thoracic surgery. The chest drain applied for the collection of fluids from the fluids. The chest tubes made of the heavy Silastic or polyvinyl chloride product. Chest tube Insertion procedure is done in the emergency condition and in post-operative thoracotomy. drainage stops. Verify the appropriate amount of suction applied to the drainage system to remove air or blood more effectively. Assess the amount of drainage 200 ml/hour of blood draining indicates a bleeding problem. Any drainage >100ml/hr should be informed to the Physician. Change dressing daily Clamp the chest tube to prevent air from entering the pleural space and change the drainage bottle. At no time the drainage bottle lifts it above the level of the patient body. Drainage bottle needs to change every 24 hours. Do not clamp chest. the tube in case of pneumothorax and if active air leak. Equipment for removal of the drainage tube. The chest tube inserted to the lateral of the chest by making a small incision in between the intercostal rings to reach the pleural cavity. Once it is reached the pleural cavity, the tube is connected to the under the water-seal chest drainage to remove the air, fluids from the thoracic cavity and pericardial cavity from the bronchus. Assess the chest tube and water seal chamber for the presence of fluctuation. 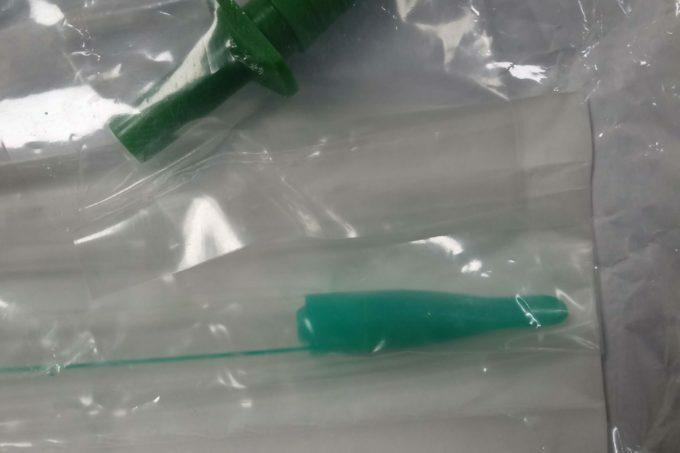 After the insertion, the chest drain tube fixed with the Non-absorbable suture and dressing must be done with petroleum gauze or plain sterile gauze covering the tube insertion site. Continuous monitoring of the under water-seal chest drain collection with the leveled water.